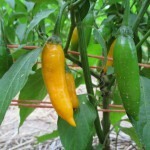 I have a special love for hot peppers as do many. Our selection is “Spartan” but it includes the essentials. 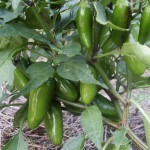 Peppers, and “hot” peppers in particular, have large isolation distance requirements (500′ for hot and 150′ for sweet), in order to minimize crossing and to maintain seed purity. 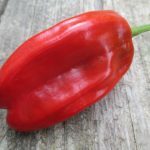 Nobody wants to plant a sweet salad pepper, wait all season for it to mature, and then find out, the hard way, that it crossed with a neighboring cayenne chile. 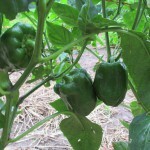 Here are three fantastic hot peppers to try and one superb green bell pepper. 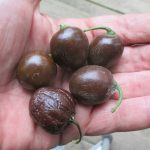 The hot peppers are NOT super hot like habaneros or the “over-the-top” ghost pepper. We select for extreme flavor not extreme heat.